Today, almost everyone is walking around in a perpetual state of being offended. Our very language has changed to a watered-down, politically-‘correct,’ milquetoast lingo that demonstrates a spirit of abject fear to speak truth lest someone be offended! What does the Bible say about being offended? Is there anything worse than being offended? Is it worse to offend others or the Living God? 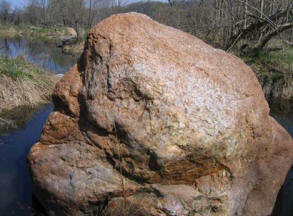 The scriptures speak of the Rock of Offense and the Stone of Stumbling. What or who is that? It is no surprise that the verse above is describing Yeshua. And why is He a ‘stone of stumbling and a rock of offense?’ The last sentence above tells us so there is no doubt. People stumble and are offended by Him because they disobey the word. It is so simple to understand that it is a puzzle why there is any doubt among those who identify themselves as believers! The recent SCOTUS decision to allow homosexuals to enter into marriages has revealed the soft underbelly of the church community. Proponents and celebrants of this decision have pulled out all the stops to proclaim their ‘right’ of passage. In addition to their blatant and despicable attacks on Yeshua by their ‘mocking’ re-enactments of the crucifixion and lewd activities with those costumed as the Messiah, they have also made Christians the target of bitter attacks questioning their faith and whether it is based on the Bible. We should not be surprised by the community that is outside of the camp of believers in the Messiah. It is however, shining a bright light upon the church itself (and those who identify with church doctrine) for not practicing what they preach! Or more to the point, not preaching what the Bible says we are to practice! Cries of hypocrisy are hurled; and these accusations are not without basis! AM I BLAMING THE CHURCH FOR THIS? Yes! I am placing blame on the church. In an effort to be all-inclusive and accessible to everyone, the church has abdicated their role as the model for a ‘Christ-like’ body of believers. The church remained (largely) silent when abortion on demand became the law of the land. While many within congregations decried the SCOTUS (Roe v. Wade) decision, no real stand was taken to end this abominable practice. It was ‘out of sight, out of mind.’ It was ‘not our concern’ a ‘private matter between a woman and her doctor.’ The church turned a blind eye to this sin, and that was taken as agreement. If one ‘church’ doesn’t fit, believers simply move to one that meets with their approval and that feels comfortable. And with every move and every compromise, the Word of YHVH is been modified, corrupted, and watered-down; it is no longer useful for correction, direction and protection. 2Ti_4:3 For the time will come when people will not tolerate healthy doctrine, but with itching ears will surround themselves with teachers who cater to their people’s own desires. Titus said that those who preach the word must present a trustworthy message! Tit_1:9 He must be devoted to the trustworthy message that agrees with what we teach, so that he may be able to encourage others with healthy doctrine and refute those who oppose it. Now we have churches that are embracing the gay agenda. We have gay clergy, we have gay marriages performed, we have rampant adultery and other sins tolerated and embraced by the ‘church.’ We have total acceptance under the mantra of ‘hate the sin, love the sinner.’ Try to find that directive in the scripture! It is found no-where in the Bible. Eph 5:10-12 proving what is well-pleasing unto the Lord; and have no fellowship with the unfruitful works of darkness, but rather even reprove them; for the things which are done by them in secret it is a shame even to speak of. Why is it so terrible to maintain our associations and keep quiet on sin within the body of believers? Should we become comfortable in our sins? 1Ti 5:20 As for those who keep on sinning, rebuke them in front of everyone so that the rest will also be afraid. Rom 16:17-18 Now I urge you, brothers, to watch out for those who create divisions and sinful enticements that oppose the teaching you have learned. Stay away from them, because such people are not serving the Messiah our Lord, but their own desires. By their smooth talk and flattering words they deceive the hearts of the unsuspecting. THE SCRIPTURES SAY THAT THE FATHER HATES WICKEDNESS! Psa 5:4-6 Indeed, you aren’t a God who delights in wickedness; evil will never dwell with you. Boastful ones will not stand before you; you hate all those who practice wickedness. You will destroy those who speak lies. The LORD abhors the person of bloodshed and deceit. Pro 3:32-33 Indeed, a perverse man is utterly disgusting to the LORD, but he takes the upright into his confidence. The LORD’s curse is on the house of the wicked, but he blesses the dwelling of the righteous. Pro 11:19-20 Genuine righteousness leads to life, but whoever pursues evil will die. Devious minds are abhorrent to the LORD, but those whose ways are innocent are his delight. BUT, ALL SIN WAS NAILED TO THE CROSS! Are you sure about what happened at Calvary? If all sin was done away with and forgiven with the Passover Lamb of God, why didn’t He begin His Kingdom right then and there? Believers are still required to be obedient! Don’t forget the account of the assembly in Acts 4:30 through Acts 5:10. Ananias and Sapphira dropped dead on the spot for lying to the Spirit! This happened AFTER the resurrection of Yeshua! Do you still think we have unlimited grace, or are we accountable for what we do, or fail to do? Heb 10:29-31 How much more severe a punishment do you think that person deserves who tramples on God’s Son, treats as common the blood of the covenant by which it was sanctified, and insults the Spirit of grace? For we know the one who said, “Vengeance belongs to me; I will pay them back,” and again, “The Lord will judge his people.” It is a terrifying thing to fall into the hands of the living God! Isa 8:12-15 “Do not call conspiracy all that this people calls conspiracy, and do not fear what they fear, nor be in dread. But the LORD of hosts, him you shall honor as holy. Let him be your fear, and let him be your dread. And he will become a sanctuary and a stone of offense and a rock of stumbling to both houses of Israel, a trap and a snare to the inhabitants of Jerusalem. The events happening in our nation and around the world are clearly pointing out the sickness that is in the body of believers. The ‘church’ is either compromising or is being called out for being inconsistent. How do you respond to those who say, “Why does the Bible say that swine flesh is an abomination, and you still eat bacon, yet you call gays an abomination too?” Yeshua hated hypocrites, and this question should make you squirm. We see the church more concerned with their collection plate than in teaching church-goers the Word. Politically-correct doctrine has replaced the in-errant Word of YHVH! What has all this compromise achieved? Is our society a reflection of the Word of YHVH, or is it a watered-down, milquetoast doctrine that chastises no one for anything because the truth might offend someone? Are we horrified by the gay ‘pride’ parades because they are lost? Or do we accept that we have fallen short ourselves, can no longer be called a light to the nations, and our apostasy has led others to dismiss our Father and His Word? Can we really be walking as Yeshua taught and demonstrated if those outside the church see no difference between us and them? WHY IS YESHUA A STONE OF OFFENSE? Jesus’ father and mother kept wondering at the things being said about him. Then Simeon blessed them and told Mary, his mother, “This infant is destined to cause many in Israel to fall and rise. Also, he will be a sign that will be opposed. It is obvious that the rebellious people are opposed to the GOD of the Bible and Yeshua, the Messiah. No one will march against the god of Islam, because everyone knows that god is powerless and of no consequence. There is no hue and cry over the Hindu gods or any of the other religions found in the world today. That is because there are only two kinds of people in the world: Hebrews and everyone else. We are either His Children, or we are not. A house divided against itself cannot stand. That is why only those who claim belief in the Bible are targeted. It is now, and always has been Truth vs. Lies; Yeshua vs. Satan. Who will you cling to? Isn’t it time to come out of the false religious systems that have corrupted the Word of YHVH? That’s why the recent SCOTUS decision is a good thing. It is good because it should cause people to re-evaluate their beliefs and who is their GOD. It should bring the truth-seekers out of the corrupt churches that have strayed from His Word. The Rock of Offense is there to trip people who do not stand on His firm Foundation. He is there to make you fall and also to lift you up when you recognize that everything that is of man is useless. He is our Rock. Be offended enough to re-evaluate and return to Him and His instruction. Don’t be Scandalized! Don’t be offended! Repent and Teshuva (Return to Torah and His Instruction). To “scandalize”; from G4625; to entrap, that is, trip up (figuratively stumble [transitively] or entice to sin, apostasy or displeasure): – (make to) offend. A primitive root; to totter or waver (through weakness of the legs, especially the ankle); by implication to falter, stumble, faint or fall: – bereave [from the margin], cast down, be decayed, (cause to) fail, (cause, make to) fall (down, -ing), feeble, be (the) ruin (-ed, of), (be) overthrown, (cause to) stumble, X utterly, be weak.